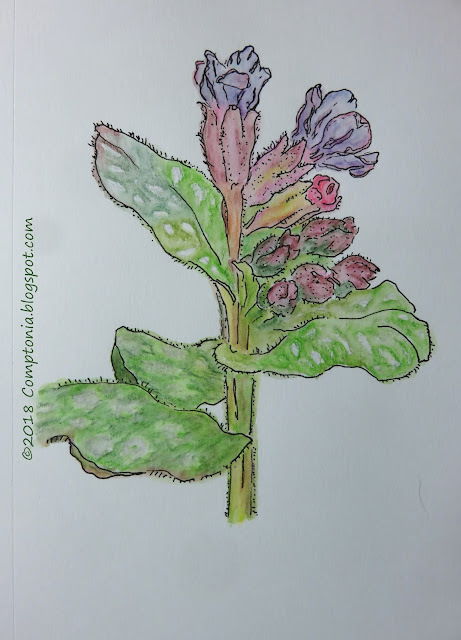 This year, the Pulmonaria began to bloom a full week before the bloodroot. It was so refreshing to suddenly see a bit of pink and blue amidst the many shades of brown in the leaf litter still covering most of the gardens. The plants are only a few inches tall but they certainly have a lot going on in the Color Department. In addition to the multi-toned stems and prettily mottled leaves, the flowers begin to bloom in pink, then shift to a lavender blue!